An Interview with Sanford Drob on Kabbalah and Psychotherapy. An Interview with Rabbi Adin Steinsaltz. Jewish Book News Interview with Sanford L. Drob, April, 2000. JBN: You have written, in our estimation, two important new books on Kabbalah. Can you please describe each of these books and what they offer the reader? The first of these books, Symbols of the Kabbalah: Philosophical and Psychological Perspectives, provides an in-depth explanation of kabbalistic ideas and symbols both from traditional sources and from the point of view of contemporary philosophy and psychology. I try to make the kabbalistic symbols accessible to the intelligent reader and show how the Kabbalah provides a compelling account of God, humanity, and the universe, one that is not only intellectually satisfying, but which also serves as a spiritual guide for our personal and communal lives. The central focus of this work is the Kabbalah of Rabbi Isaac Luria. Luria, who taught a small group of disciples in 17th century Safed, left few writings, but his disciples, most importantly, Chayyim Vital, provided a rich account of his symbolism. However, for a number of reasons that I discuss in the book, the ideas behind these symbols are very difficult to comprehend. My book "translates" these symbols into philosophical and psychological terms and serves both as a systematic overview of the Lurianic system and, as a sort of encyclopedia of the Lurianic symbols. Amongst the many symbols it discusses are Ein-sof (the Infinite God) Tzimtzim (divine contraction), the Sefirot (the divine, creative archetypes), Adam Kadmon (the Primordial Man) Shevirat ha-Kelim (the Breaking of the Vessels), Sitra Achra (the counter-world of the "Other Side") and Tikkun ha-Olam, (the Restoration and Repair of the World). Those who read my book will not only become conversant with these and other symbols, but will also, by linking these symbols to their own lives and learning, be able to provide their own interpretations of the them. The second book, Kabbalistic Metaphors: Jewish Mystical Themes In Ancient and Modern Thought, puts the Kabbalah into a dialog with the history of ideas. The Kabbalah has long been the province of a very few who have guarded its esoteric teachings. Nonetheless, these teachings have (in most cases silently) interacted with ideas and symbols of other traditions in both the ancient and modern world. Further, even in cases where the historical interaction has been limited, kabbalistic ideas can both enrich and be enriched by disciplines outside of Judaism that share certain features of its basic world-view. Amongst these traditions are Hinduism, Buddhism, Gnosticism, Platonism, Neoplatonism, Idealist Philosophy, and the psychologies of Freud and Jung.  In Kabbalistic Metaphors I place the symbols of the Kabbalah into a dialog with each of these traditions and I seek to show how the Kabbalah articulates a perennial philosophy, (features of which were already present in ancient religious thought) that later became a guiding thread through much of modern philosophy and psychology. I try to show not only how each of these traditions are linked to the Kabbalah, but how they are linked to each other through their sharing of ideas that are most fully developed in the Kabbalistic sources. I believe that this book is for anyone who is interested in creating a rapprochement between Jewish mysticism/philosophy and secular learning. JBN: Why do you think there is a revival of interest in Kabbalah these days in general, as well as an interest in Kabbalah among some well-known Hollywood personalities? The revival of interest in the Kabbalah is, I believe, part of a general revival of interest in the mythical and mystical basis of human spiritual and psychological experience that we see in the world today, and particularly in the United States. This revival is actually very long in the making (in some respects it is nearly two centuries old! ), but it has broken out in popular culture only in recent years. The interest in the Kabbalah and other mystical traditions such as Buddhism is, I believe, a reaction to the overwhelming materialism of our culture as well as success (and failures) of reason, science and technology in transforming our lives and self-understanding. Interest in the Kabbalah is founded on the essential human need to return to the mythical and symbolic foundations of the human spirit which, unfortunately, science, and even conventional religion and philosophy have long ignored. The interest in the Kabbalah in tells us just how far we have come in our spiritual; for when the leaders and icons of a nation become involved in a movement, that movement has established itself in the very heart of culture and society. I think of my books a means for furthering this spiritual revival and as a means of linking this revival with the rational sides of ourselves. As such, my books are actually something of a return in the direction of reason. I guess what I'm saying is: OK we've reconnected ourselves with myth, soul, and spirit, but let's take a look at it all rationally and see what it means. While I'm not opposed to what might be called "New Age" interest in s the Kabbalah, Eastern philosophy, Jung and the like, I believe that we can go beyond the purely spiritual aspects of Jewish mysticism and integrate the Kabbalah with a philosophical and even scientific view of humanity and the world. Actually, the charge to link the spiritual with the rational is one of the fundamental principles of the Kabbalah itself. JBN: What is your own personal interest in the subject based on? My grandfather, Rabbi Max Drob, who passed away when I was a child, imparted to me the idea that I would someday make a contribution to Jewish scholarship. However, I did not realize that my interests would lead me into Jewish mysticism until I was first exposed to Chabad Chassidus, particularly Schneur Zalman's Tanya, as a member of Congregation B'nai Jacob in Brooklyn back in the 1980s. At that time I had completed my doctoral studies in philosophy and psychology, and like many others was seeking to discover a more spiritual understanding of Judaism. However, right from the start I was amazed at the strong connection between Jewish mysticism, and the essential elements of Neoplatonic, Hegelian and even psychoanalytic thought, and I soon embarked upon the fifteen year journey that was to eventuate in these two books. At the time I also became editor of the New York Jewish Review, and the articles I soon published there on Jewish mysticism and modern thought put me into interesting dialogues with a number of like-minded people. I had the remarkable opportunity of meeting and discussing these matters with Rabbi Adin Steinsaltz, whose wisdom helped focus my efforts. Also, professionally, I had, in 1984, taken a position as the psychologist on Bellevue's Prison Ward (where I still am today) and I found myself in need of a spiritual foundation for my work with these very difficult patients, many of whom had committed acts that society regards as the epitome of evil. Chassidus and the Lurianic Kabbalah (in particular the symbols of "raising the sparks" and Tikkun ha-Olam) provided me with the spiritual and philosophical support that I have needed in working with these individuals. JBN: What do you make of the commonly held notion that Kabbalah is only for married, learned, Jewish men over 40? Is there any truth to this prohibition? There is a tradition that the Kabbalah should not be taught to individuals under the age of 35 or 40. The Chasidim, of course, have always elements of Chassidus, which is based on the Kabbalah, even to their children, and have, in this way, circumvented this custom. I think that the rabbis recognized the deep appeal of the Kabbalah, and were concerned that younger individuals would become so wrapped up in Kabbalistic symbolism that their talmudic studies would suffer, and as a result there would be a threat to the fabric of the halakhic community. Further, as my books show, many Kabbalistic ideas can be (mis)interpreted in a fashion that could lead an individual astray. There are places in the Zohar, for example, that seem to imply that humanity is not only a partner with God in creation, but that, under circumstances, man can be credited with creating the One above Himself! These are powerful and deep spiritual ideas, but in the minds of the young they might readily lead one away from, rather than towards, Judaism. Finally, the ban on Kabbalistic studies for the young actually creates an interest in them; for a person always desires that which is forbidden. In our own century, a number of rabbis, mindful of the fact that many Jews were completely alienated from their Jewish roots and identity, relaxed the ban on Kabbalah studies amongst the young, and have sought to inspire individuals back towards Judaism through the Kabbalah's compelling spirituality. Today, Jew and non-Jew alike can find rabbis and others who are willing to teach them "Kabbalah." I don't know if this is such a good thing, because much of what is taught is, to my mind, only remotely connected to the Kabbalah and even less so to Judaism. However, I believe we are certainly past the point of enforcing an age ban, and I believe that serious inquiry into and study of Jewish mysticism, wherever and with whomever it occurs, is a very laudable thing. JBN: How do you feel about issues such as the authorship of the Zohar? Some say it is ancient in origin while others say it was written 500 or 600 years ago in Spain. What do you think, and does it matter? The authorship of the Zohar is an interesting historical question, but one that to my mind, is not of great philosophical or spiritual significance. Even those who hold that Moses De Leon authored, rather than, as he claimed, discovered the Zohar in 1286 CE, recognize that the traditions embodied in that work were centuries in the making. Many scholars now hold that Gnosticism, which dates back to the second century, and which contains many themes that later seem to reappear in Kabbalah, has its origins in early Jewish mysticism. But to my mind the attraction of the Zohar and other Kabbalistic texts lies not in their pedigree but in the power of their symbols and the profundity of their ideas. That power and profundity lies as much in the capacity to integrate varying sources as it does from its originality. JBN: Why is the typical rabbi, even among traditional rabbis, not only ignorant of Kabbalah but often even hostile or antagonistic? Actually I think that many rabbis, particularly non-traditional rabbis, are quite open to Jewish mystical thought. Most of the more traditional rabbis, however, were simply not exposed to it in depth, as Kabbalah is really not a part of the standard yeshiva curriculum. Antagonism can, of course, grow out of ignorance, but I believe that some rabbis are rightly concerned that the admixture of Kabbalah, New Age thought, Buddhism, etc. that we find in some circles, and the open teaching of the Kabbalah to non-Jews is an additional danger that can threaten normative Judaism. My own view is that Judaism is easily strong enough to absorb such threats and that if rabbis do not teach Kabbalah, potential students will go elsewhere to learn it. Further, we are well past the point of being able to control the market in ideas. There are, for example, dozens if not hundreds of Internet cites that purport to and do transmit Kabbalistic ideas. In the final analysis I firmly believe that Kabbalah is actually a beautiful set of doctrines that can and should be part of the market place of ideas. If they haven't done so already rabbis and others should start investing now. JBN: Why should a person in the year 2000 study Kabbalah? In the year 2000 people should study the Kabbalah in order to gain access to a powerful doctrine that will facilitate our mending ourselves and our world. We should study the Kabbalah to bring us closer to, and to provide us with a deeper appreciation and understanding, of God. We should study the Kabbalah to provide us with a philosophy of tolerance; one which sees beauty and purpose in each of the worlds details, its manifold species, cultures, traditions, and peoples, but which understands all things as issuing out of and striving after a higher unity. We should study the Kabbalah to allow a place for our atheism, doubt and even our evil, all as part of our faith and the world's ultimate purpose and design. We should study the Kabbalah to discover a model of inclusive and dialectical thinking that we can apply to our personal lives, our professions, and all of our relationships. We should study Kabbalah to provide us with a means of both responding to and incorporating post-modern thought into a Jewish ethic and philosophy. We should study Kabbalah for the sheer pleasure of learning and for the rational/mystical experience that such study entails. We should study the Kabbalah for the profound spiritual and personal change that it can engender in our lives. JBN: Are there any dangers to the study of Kabbalah? Yes, there are a number of dangers. On the one hand, since kabbalistic texts are so difficult and obscure, one runs the risk of obscurantism, and of claiming a sort of pseudo-insight in studying them. On the other hand, the Kabbalah is so powerful, that one's life can unexpectedly be transformed in the process of its study. I think that many people enjoy the cache of an interest in the Kabbalah but are unwilling to engage in the difficult spiritual, personal and intellectual work that is needed to approach this work seriously. As a result, the Kabbalah is either trivialized or, as was once the fashion, ridiculed. My own view is that the Kabbalah is a great switching station, one in which the great currents of the Jewish tradition, eastern mysticism, and western philosophy and psychology, as well as the individual students' unconscious converge. This is why the study of the Kabbalah requires a certain maturity, education, and wisdom. On the one hand one needs to be familiar not only with Jewish biblical, talmudic and philosophical tradition (which is difficult enough) but also with much of the history of ideas, in order to fully appreciate the Kabbalah and its relevance to contemporary life. On the other hand, one must also be open to the ways in which Kabbalistic symbols and ideas apply to and work upon one's own psyche and soul. In my own case, for example, a study of the kabbalistic symbol of the "Breaking of the Vessels," which signifies that a "perfect" universe must be broken and debased as a condition for redemption, coincided with a major personal and spiritual crisis that resulted in a "shattering" of many of my own values. The study of the Kabbalah should spark interests and open up many doors, both intellectual and personal. If it does not it becomes trivial. However, if it does, the results can be very powerful and unexpected. JBN: Why is Kabbalah considered a "secret?" The Kabbalah is considered "secret" for a number of reasons. On the one hand, it is considered by many to be part of a secret oral tradition that was given to Moses at Sinai and which was passed down from masters to select pupils over thousands of years. However, even with the advent of Jewish mystical texts, the Kabbalah remained a secret because it was so difficult to comprehend. Even the kabbalists themselves often felt that the material they studied was resistant to their efforts to comprehend it. No less than the great Kabbalist and rabbinic authority Jacob Emden (1697-1776) held that while Luria and some others understood the meaning of the Kabbalah, once the Kabbalistic symbols were written down they lost their significance and became opaque to later generations. The founder of modern Kabbalah scholarship, Gershom Scholem, held that the symbols of the Kabbalah were impenetrable to the rational mind and that their significance lay beyond expression and communication. My own view is that with the tools of contemporary Jewish, philosophical, psychoanalytic, and comparative religious studies, the so-called "secrets" of the Kabbalah can be deciphered, or at least provided with meaningful interpretations, and I have attempted to do so in these two books. To what extent I have succeeded will be open to others to judge. JBN: Can you offer us an example of an idea that is considered a Kabbalistic idea? According to the Lurianic Kabbalah, the infinite God (Ein-sof) created the world through the emanation of ten value-archetypes, the Sefirot. These values, which included Wisdom, Understanding, Kindness, Judgment, Beauty, etc. were to be the elemental components of a perfect world. However, the cosmos was unable to properly contain the emanation of divine energy, and the Sefirot/Values were shattered and displaced, their broken shards tumbling into a dark realm, entrapping with them "sparks" of divine light as they fell. Our world is comprised, not of the values as they were originally conceived in the divine mind, but of the broken shards resulting from the Shevirat ha-Kelim, the "Breaking of the Vessels." It is humanity's divinely appointed task to "complete creation" by extracting the light or "raising the sparks" from these broken shards. This is done through the performance of various ethical, spiritual, intellectual and aesthetic acts, which highlight and reestablish values in our world. Each person, thing, or event an individual encounters in life's way provides an opportunity to either "raise a spark" and engage in Tikkun ha-Olam, the Restoration of the World, or to throw the world further into darkness. According to the Kabbalists, the world, restored through the efforts of humankind will yield a greater perfection than if the Sefirot had never been shattered at all. In the process humanity not only completes creation but becomes mystically identified with the completion and perfection of God Himself! That is just one example of a kabbalistic idea.